This is the easiest way to improve your skill and gameplay. Playing DotA gets better from day to day, and beginning from now the latest of DotA AllStars and Legends of DotA maps include a completely new way to manage your ingame settings - a text-configuration file. 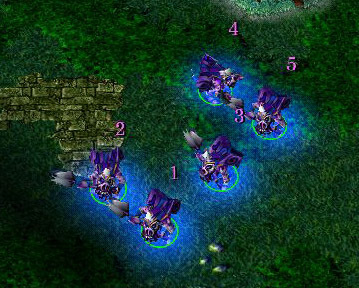 After having started DotA 6.88 or LoD once, a special configurating file will be created in your WarCraft III root folder (config.dota.ini or config.lod.ini). This file can be opened and edited with any text editor such as Notepad, it is a plain text file. We are recommend to use "clever" text editors, e.g. NotePad++, as they have syntax highlight for an easier navigation through. 1. Rename your configuration file in WarCraft III folder. 2. Update the map and launch it in single game. 3. After that, default configuration file will be created. 4. Open both configuration files with any text editor. 5. Copy all the values from the old config to the new one, minding values you changed in your old config and not overriding new lines in the new config. You can assign any key to any skill or item slot. It will override the button’s default action - you don't have to worry about unbinding the Space key or any other special hardcoded WC3 key (the hotkeys in the config file are always the most important ones). This function also filters out inputs inside the "Chat" window, chatting will not be affected. You can define any alphabetical or number key. In case if you want to use some special keys like "Page Up", you have to use HEX-code of this key, e.g. "0x21" for "Page Up". As said in the config file’s description, you can find all key IDs in HEX form on this page. It is also possible to add a single modifier to the key; either Alt, Ctrl or Shift. This allows having your whole inventory and skillset bound to specifically modified keybinds (like ALT+R) that are used by WC3. There are couple of hot-binds like "Space", "F1"-"F9", which can be used directly, even without using the HEX value. However, it is not possible to add any modifiers (Alt, Ctrl, Shift) to Space and F1-F9. Inventory slots 1-6 are self-explanatory, and skills are ordered as shown. Extra-binds like "BindMove", "BindStop" are used on the same cell as named skill (default layout). Default ingame hotkeys won't change and also will be available, unless you override the original key with another bind. SkillSlot% - Define this to rebind your hero's spells. QuickCastSlot% - Define this to instantly apply the spell to the target under mouse cursor, as sson as hotkey is pressed. QuickCastInventorySlot% - Define this to instantly apply the ability of iventory item to the target under mouse cursor, as sson as hotkey is pressed. BindMove, BindStop, BindHold, BindAttack, BindPatrol - If you want to rebind default action keys, you can change values for this paramaters. ExtraSlot% - Hotkeys for buttons located in the cells of Move, Stop, Hold & Patrol (1,2,3,5 respectively). Slots will be used in the future... Maybe. ItemSlot% - Define this to rebind hotkeys of inventory cells. DisplayScoreboard - allows to expand or minimize ingame scoreboard. DisplayTowerRangeHotkey -displays the range of attack for towers, default Alt (0x12) key. SelectBestCourier - selects the courier which is the best one you can have, by game's opinion. By priority: self courier, shared courier, any ally courier. SelectCircleOfPower - selects Circle of Power for your hero. OrderToAllControlledUnitsHotkey - Whenever player gives an order to any unit while holding the key, all controllable units (from SelectAllUnits group) will try to perform it. You can only give 3 AllUnits orders at time, they restore with 1 per second rate. Extra-setting "ShopsQWERTY" allows auto-binding every shop to the QWERTY-layout. QWER for top row, ASDF for middle, and ZXCV for lower. Can be "true" or "false" and doesn't have any extra settings. Disables AltQ, AltS, AltH etc hotkeys from opening ingame menus. On low-tier PCs, WC3 still tries to render 64 frames every second. Lowering this value reduces overheating and slightly increases (non-laggy) the game’s visuals. When your PC is under the heavy load, this option will automatically change the MaxFPS setting, decreasing your max frames but increasing visuals. Again: only use if you have FPS issues. Keeps your mouse cursor in the game's window. Only useful if you're playing in windowed mode. Will automatically re-select your primary hero if you right click or press a key while having no controllable unit selected. Turns HP bars of ally units to green color, and enemies to red. Has an ingame chat command: “-hpbar”. Toggles manabars. Has an ingame chat command: “-manabar”. Properly increase Field of view to fit 16:9 displays. Has an ingame chat command: “-ws”. Everytime you teleport somewhere, you can accidently right click at something, wasting the TP. This option adds a secondary unit (your own Circle of Power) to your command card so your order will be delayed until you finish channeling. Doesn't prevent any hotkeys from interrupting channeling, so you can press Stop whenever you want. Same as the setting above, but only uses hardcoded key block, effectively preventing any accidental TP interrupt by a key press or a mouse click. When this option is enabled, you can only interrupt teleportation with the Stop or Hold hotkeys (S and H by default). Any other input will be ignored. Sellects all available summoned units in the given radius. Causes game to close itself after every non-single player game to avoid issues with memory cleaning. Temporary solution for prevention of unknown game crashes in the second game. Allows to setup Double Click Helper (DCH) right away at game start. DCH allows to instantly apply some abilities to the caster by double-clicking it's hotkey rapidly. For example, Ogre will Bloodlust himself, if you double-tap it's hotkey while option is enabled. Whenever picked hero has an ability which does support this mechanic, you'll see the message about it. Turns on/off hero's auto attack. Autoattack will work always unless Stop or Hold issued, requires AutoattackEnabled option to be enabled (true). Turns on/off smart attack: when right clicked on the ground hero begins to attack the closest enemy to the point, radius of search is 300. Turns on/off deny of creeps by right click. Turns on/off selection of summoned units in to the group right after summon. Sets personal latency and speed of data transfer to the host. The lower number, then faster data transfer. Allows to use Old or DotA2-style layout for courier's buttons. Outdated option, no longer relevant. Can be seen in older releases. Turns ON or OFF auto-following Healing Ward, if no target chosen. Turns ON or OFF displaying of numbers over the Meepos'. Only owner can see them. Allows choosing the active weather effect. Equal to using -weather chat command. Supports all the same modifiers: off, rain, snow, moonlight, wind, random. Default value: none (empty line). Allows changing of your minimap’s fog brightness. Only accepts value between 0 and 255. The lower, the darker your minimap will be. This option makes all tower's attack ranges constantly visible, even if you're not holding the hotkey (Alt). 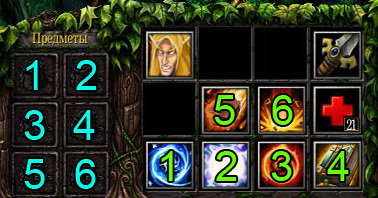 Displays the HP regeneration of the unit, even if you're not holding the hotkey (Alt), toggling to the maximum HP value in the HP panel of your hero. Does NOT have to do with HPbars over creeps, heroes, etc. Unifies visual selection circles of every hero to the same width, which effectively makes their HP bars equal as well. This option allows to see extra data about your attack, spell resistance and item owners, when you hover over the icons in your hero and item panels. Enable or disable unit's regeneration info being visible while holding Alt or using AlwaysDisplayHPRegen option. Adds memory consumption metric to the /fps command output. Sets duration of chat messages in seconds. Pressing ESC will clear game chat. Pressing ESC will clear player's chat. Legacy option for LOD, prevents skill "jumping" in the skill bar. Enables gray minimap with better texture that is more likely to DotA2 minimap. Fits for professional players. Turns Scourge & Sentinel units to Green and Red colors on the minimap. By default they keeps dark-blue color. Toggles minimap vision to green and red, where allies are always green. Disables some visual effects (water effects and footprints), improving overall game's smoothness for old PCs. Disables some visual effects - ubersplats (burning trailing of Chaos Meteor, for instance). Disables most of visual effects on the map, like some cliff textures, bonfires, bushes, waterfalls etc. Disables camera jumps when Space key is pressed. Disables camera sliding when mouse wheel is used. Disables default action of Tilde key. Toggles on-death tips. They may be useful for newbies. Toggles item icons in game scoreboard. Allows to disable HP bars toggling via Alt-key. Useful if you don't use it anyway or have Alt-key bindings. Allows to setup water's color before game starts. Can't use "random" value here. Completely blocks chat from allies and enemies from the very start. Chat log is still active. Alias for '-hhn' chat command. Posts each valuable ingame-text into chatlog (F12 if playing online) for you, like kills, buybacks, Roshan slaying, etc. Allows to always keep courier's button available in the screen's corner for fast access. Toggles Scan minimap ping color from green/red to blue/red. Toggles Advanced Stats Icon from skill panel. 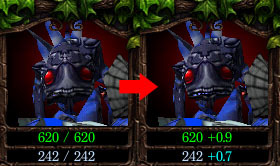 Toogles smoke reveal speed, true = 0.4 sec (as in old 85k DotA), false = 0.1 sec (as in current versions). Toogles in-game timer to classic (true) or new style (false). Displays healing in numbers over the unit if it's getting any heal. Allows to hide or show Stop, Hold and Patrol buttons. Allows to setup some key phrases and send them to ally chat whenever hotkey is pressed. For example, "Enemy missing" message. QuickChatText contains the text, QuickChatHotkey - hotkey's value. Use the @ as the first symbol in text, if you want to post your message in all-chat. This is a very simple block of lines which will be entered in the chat at the start of the game. Make sure to allow all the commands (enable them in the above settings) to be typed first, before you make your own inputs. By default all lines are emtpy. You may use ingame chat options here, or anything else you'd like to send to chat at the very start. Visit the commands list page for the full list of chat commands available. Sends some statistics to the D1Stats server about game, hero pick etc.